This natural gold crystal specimen from Venezuela is amazing. It is hoppered and fluted and is shaped like an Angel Fish. 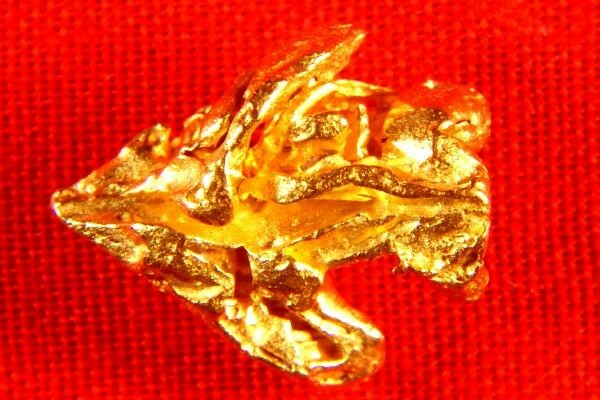 This is the first time I have seen a gold nugget shaped like an Angel Fish. It was recovered by gold miners working in the jungle of Venezuela in Zapata, just outside of Ikabaru, near Santa Elena de Uairen. The locals make thei living recovering these gold crystals that they call "cochanos". 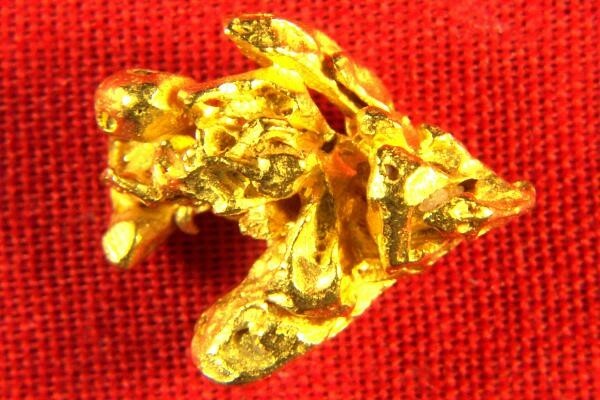 This amazing gold specimen is 1/2" (13 mm) long and it weighs in at 40.2 Grains (2.61 Grams).